When my package arrived, I immediately put a couple "Boogies on the Run" in my purse and each child's backpack and my purse. Boogie Wipes are Hypoallergenic and Alcohol Free, making them safe for children (and adults) of all ages. My opinion... Boogie Wipes are a must have for any parent, teacher or childcare provider. This giveaway will end March 4th at Midnight EST. 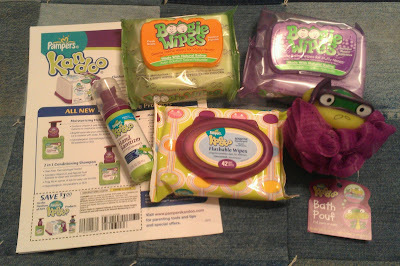 Disclaimer: I received complimentary Boogie Wipes & Kandoo products as a Saline Ambassador for the purpose of writing a review and handing out samples to family and friends. Regardless, I only recommend products or services I use personally and/or believe will be a good fit for my readers. The views and opinions expressed on this blog are purely my own. Results may vary. No monetary compensation was received. I think that my son would really like the grape scent. Definitely the grape scented wipes. I would most like to try the Boogie Wipes Gentle Saline Wipes, Simply Unscented.